Insure Everything From Fun To Function - Yetter Insurance Agency, Inc.
Insurance provides financial support and reduces uncertainties. It provides safety and security against particular events. Insurance provides a cover against sudden losses. It’s important to insure everything that’s both vital, like your house and car, as well as fun, like a boat or snowmobile. Ensuring a safety net for these items will save a lot of possible headaches and out-of-pocket expenses if a covered loss were to occur. Car insurance is one necessity that can feel very burdensome, especially when it comes to paying for it each month. The range of costs, types, and quality of policies is a lot for anyone. The Insurance Research Council estimates that 14 percent of the driving population in America is uninsured, which may be due to economic factors, cost, and confusion about auto insurance. At Yetter Insurance, we work with you to determine your auto insurance needs and personalize your service to bring you the protection you deserve at the best value. There are several criteria that go into our assessments of how much coverage you should purchase. Whether you’re buying a new home or you’ve already paid off the mortgage, you may have wondered about the value of home insurance. Your home is likely one of, if not the most, valuable assets you have. Homeowners insurance helps protect that investment — and you — in a variety of ways. Not only does it just protect your home, but can also cover personal property, your family, and any guests you have. Winter weather can be unpredictable, but your snowmobile insurance shouldn’t be. Snowmobiles can cost several thousand dollars, with top of the line models exceeding $15,000. With an investment like that, you want to make sure you have the right insurance coverage. What are PA and NY Snowmobile Insurance Requirements? Pennsylvania and New York both require riders to carry liability insurance. If you plan to ride your snowmobile on property that is not owned or leased by you, you must carry liability insurance. Proof of that insurance must be carried with you when you ride. There are no minimum requirements or coverage standards established by DCNR or the Snowmobile/ATV Law for the liability insurance. All snowmobiles operated on any part of a roadway or shoulder of a highway in New York State must be covered by minimum liability insurance. New York State Parks law requires snowmobilers to carry liability coverage in the minimum amount of $10,000 for an accident involving one person, $20,000 for an accident involving two or more persons, and $5,000 for property damage from one accident. Proof of insurance must be carried by the snowmobiler and must be displayed on request of any magistrate, law enforcement officer, or anyone who has suffered personal injury or property damage as a result of the snowmobiler’s actions. Do I Need Year-round Snowmobile Insurance Coverage? 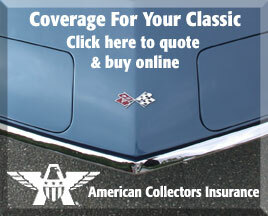 Do you need year-round coverage on a vehicle you only ride in winter? Between the cost of the snowmobile, maintenance, and riding gear, snowmobiling can be an expensive sport. You may be looking to save money by only insuring your snowmobile part of the year—but is it worth it? Typically, you’re better off buying year-round coverage for several reasons. The cost difference between year-round and partial-year coverage is usually small enough that it makes sense for most customers to opt for continuous coverage (and continuous peace of mind.) Even when your snowmobile is in storage, the risk of fire, flood, and other accidents is still present. A year-round policy can guarantee protection for your investment. A Yetter Insurance agent can help you find ways to save on your snowmobile insurance. You may receive discounts if you complete a safety course, are a homeowner, are a safe driver, and more. When deciding on the proper insurance for your boat, it’s important to be aware of the factors that come in to play. The age of your boat, the length, value, speed/horsepower, condition, and type all have an effect on which policy is right for you. The proper coverage can protect you against minor damages, major damages, and expensive towing costs.